Our red winner show rosette is an original and unusual alternative to all those show rosettes that collect dust on walls or are hidden away in boxes of every show exhibitor. 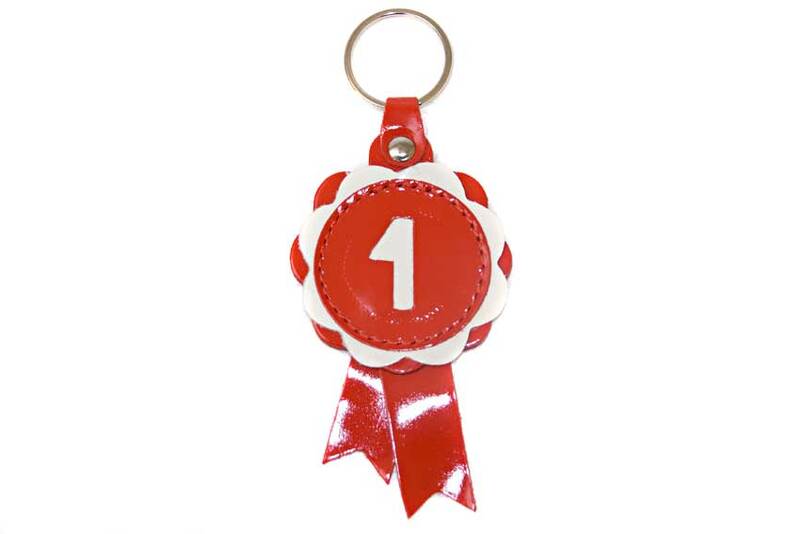 Carry it every day with your house keys, clip it to your handbag as a bag charm or attach to your dog's collar so he knows who is No1 in your eyes! 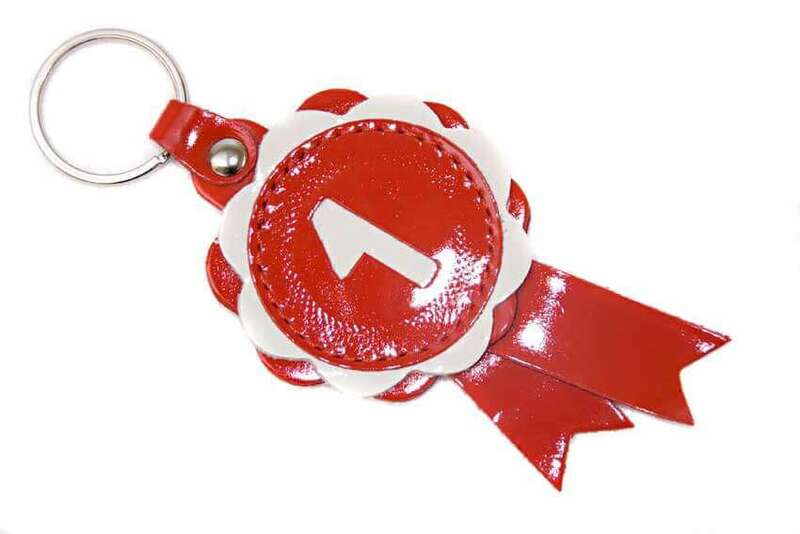 Exclusive design by Dog Moda this handmade leather dog key chain / key ring is available in several colour combinations, as well as BIS design. Handcrafted from the red and white patent leather with stainless steel split ring. 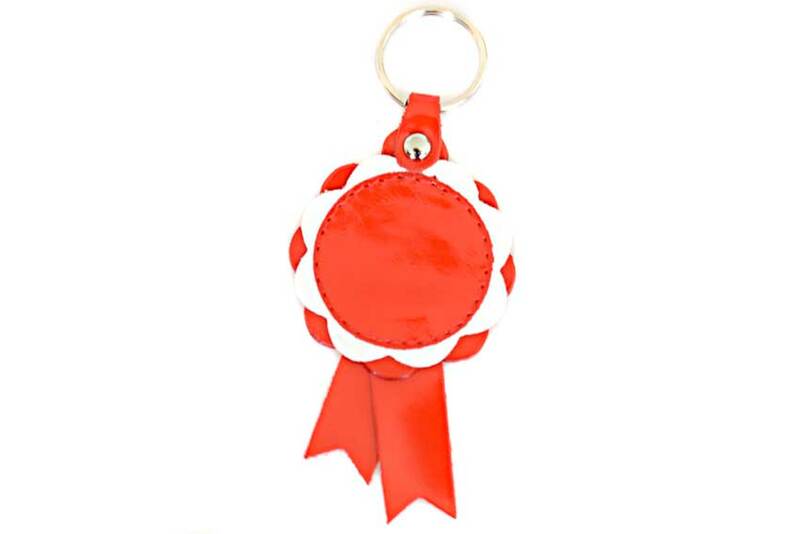 See our custom key rings for more information or get in touch on +44 (0) 20 3582 4532 or email us.